New York, NY, March 15, 2002 -- Personnel at Ground Zero tie back and reinforce the exposed slurry wall. The structure, which runs the perimeter of the crater, is monitored around the clock for movement and is holding up well. 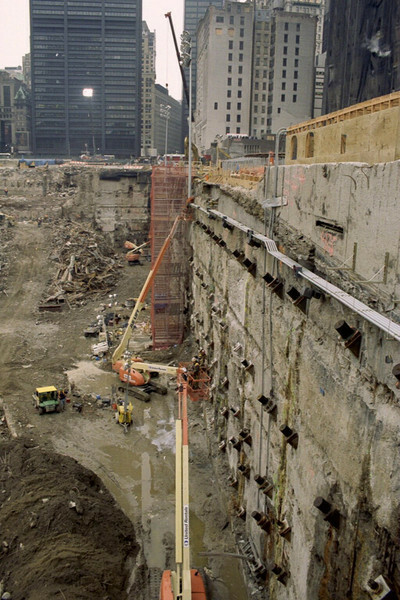 Its function is to counter the natural action of ground soil to push inward, into the hole where the World Trade Center complex once stood.